Perhaps it is the Shardlake books on Tudor England that have inspired Phoenix Ark Press to again blog the story of Shakespeare’s youngest brother Edmund this January and the significance of many discoveries made about him and London to Shakespeare scholarship. 2016 is of course also the 400th anniversary of ‘the poet’s’ death and this time blogs, rather than engaging in arguments about the bogus Earl of Oxford theory or whether Shakespeare was a Catholic, will try and pinpoint specific discoveries and themes thrown up by nearly two years work by David Clement-Davies in the London Metropolitan archives and elsewhere. He believes that some of those discoveries are quite unique, cast significant light on the forming and the dating of the plays, especially the writing of the three parts of Henry VI, but also help build a fascinating picture of London and Southwark in particular, over a period of two hundred years. That play, bear baiting and brothel district, a gateway across the river and hub of ‘aliens, foreigners and strangers’ right opposite the walled city of London on the Thames. David has been disappointed in the current desultory publishing climate not to find more interest from mainstream publishers for a book about Shakespeare’s Brother. Perhaps that is partly because there are only six records of Edmund Shakespeare’s life and death, while Shakespeare’s work and immortality itself so draws focus from any possible historical narrative of a largely unrecorded life. But at least blogging facts, theories and discoveries will make the work available. It is written from memory and without consulting 8 notebooks held here, so forgive errors or do write in to challenge them. The one joy of blogging is that mistakes can easily be corrected. If you use it please would you credit David or Phoenix Ark Press. 1) William Shakespeare had three brothers, in a large family of eight children, although three of his sisters died young. Shakespeare was the eldest, Richard and Gilbert Shakespeare following, and Edmund Shakespeare was the youngest. Edmund was sixteen years Will’s junior, born in May 1580, and of all the others was the only one to become a player too, in London. Although there is no record of Edmund in any extant play bills nor among the players listed in the First Folio. Edmund Shakespeare died in the freezing winter of 1607, at the age of only 27, and was buried in St Saviour’s Church, Southwark, formally the main church of St Mary’s Ovaries priory, on December 31st, at the cost of 20 shillings and with ‘a forenoon toll of the great bell’. It was the same year Shakespeare, now a Gentleman with a large house in Stratford called New Place, married his daughter Suzanna to the herbalist John Hall. 2) St Saviours, today’s Southwark Cathedral, was the dominating church of Bankside, that included the ‘Liberties’ of The Clink, Bankside and Paris Gardens. If you walk them today they represent a comparatively tiny area but it is from the Vestry minutes and Token Books of St Saviour’s that most of the clues about Edmund Shakespeare and Southwark come. Token Books were the yearly list of locals paying for Easter Communion Tokens, given back to the churches to prove attendance, and thus both a tithe and a kind of minor census. Many are very hard to read, in that scrolling Elizabethan ‘secretary’ script, with its uncertain spelling and of course at the time the spelling of names in particular were very changeable. Both Philip Henslowe, sometimes called Hensley, and his son-in-law the player Edward Alleyn became vestrymen and wardens of St Saviours for a time. Henslowe was one of the most significant figures in Southwark who built the Rose Theatre there, was a major landlord and brothel keeper, and became Master of the Game and Keeper of the Royal Barge House in Paris Gardens. He was also leader of The Admiral’s Men, chief rivals to Shakespeare’s troupe, and it is his diaries, really his book of accounts, playhouse receipts and payments for new plays, that gives us the most important evidence of the players and dramatists of the time. There are no extant records from the Globe and The Lord Chamberlain’s, later the King’s Men. Henslowe would also build The Fortune Theatre north of the river in 1600 and then The Hope in Southwark. He died in the same year as Shakespeare. David believes that the rivalry between the companies has been underestimated, the effect the building of the Globe in 1599 had on the Rose, which was just up the way but closed by 1605, and the fact that Henslowe went north of the river almost immediately, only building the Hope when Shakespeare’s activities at the Globe had declined. 3) There is some debate about where Phillip Henslowe, who was played by the actor Jeffrey Rush in the film Shakespeare in Love, actually lived in Southwark, since one account places him hard by the Clink Prison, the little prison of the Bishop of Winchester’s palace on Clink Street. In fact the token books prove that Henslowe lived in a tavern and tenement grouping on Clink Street called The Bell, hard by St Saviour’s, but in sight of The Clink. It was very possibly named around on the foundry bells for the church. They also prove that Edward Alleyn and his wife moved in with him in the plague year of 1603, when Elizabeth I also died. The lists of tavern dwellings in the Token Books are often broken down into the name of streets, alleys or their dominating tavern, like The Bell, The Three Tunnes, The Elephant or The Vine, in an area that was also still very rural, dominated to the south by Winchester Park. The Token Books also prove that both Henslowe and Alleyn sat on something instituted after the Gunpowder Plot of 1605 called The Great Enqueste, that seems to have been an investigation into officers and local practices by James I. In Southwark it culminated in a scandal coalescing around the abuse of money for the poor by the wardens and vestrymen of St Saviour’s, and a vestry that had risen to 80 strong. There were many complaints about the building of a huge new refectory or dining hall and there was even a bill mooted in Parliament. The Wardens and Vestrymen resisted and appeared to reform themselves. A very great many of the records from St Saviours, especially leading into the period up to the Civil War, are missing. The position of Warden was not only a prominent local one but gave Wardens rights to sign off leases and wills and it is hard to believe that someone as wary of the public eye as Shakespeare was not concerned by Henslowe’s local dominance. 4) Of the six known records of Edmund Shakespeare’s existence the first is his christening record, a couple of days after his birth, at Holy Trinity Church Stratford. The next two are the records of the christening and burial of his infant son in July and August 1607, four months before his father’s death, in St Leonard’s Shoreditch and St Giles Cripplegate respectively. There Edmond is marked down as a player, though there is slight confusion about the Sirname Shakspere or Sharksby and the name for the son either as Edmond or Edward. They are explained by mishearings and uncertain spellings. The boy child was barely a month old when he died, and perhaps because of the rise in local infant death records, probably not from plague but from an outbreak of some infant disease. As to the beliefs or practices of the Shakespeare family, whoever his lover was, in the scrofulous morals of London at the time, they certainly made sure their child was christened and as Germaine Greer says ‘owned’ the birth and the baby. It appears from a side note in the records that the unknown mother of the child was living in The Morefields. There is as yet no likely record in either St Giles or St Leonard’s of the mother dying in childbirth. The Morefields, where the famous London eye hospital now is, was a poor area, although improved in the planting of new gardens, especially around the new Scot’s Kings arrival into London. It also housed the infamous little Bethlehem Hospital, or Bedlam. The More fields stretched across the road that ran straight up through the Bishop’s Gate, where Shakespeare had lived inside the wall in his early years, in the parish of St Helens, that ran up to both The Theatre and The Curtain in Shoreditch. St Giles Cripplegate is barely ten minutes walk from St Leonard’s, the graveyard once just against the outside of London Wall. Christening and burial in different churches may be because many graveyards were simply overflowing at the time, but some church politics at the time is suggested by the entry by the child ‘baseborn’. It was not far through The Cripplegate that Shakespeare himself for a time lived on the wealthy Silver Street, near the Barber Surgeon’s Hall and in the house of the Tirer or wigmaker, the Hugenot immigrant Christopher Mountjoy. Since Shakespeare was undoubtedly back in Stratford in June 1607 for Suzanna’s wedding, at the time Edmund’s lady was having a difficult birth, it throws up many questions about the state of the family at the time. The next two records of Edmund are his burial on December 31st 1607 in St Saviour’s. One is at the very end of a Vestry bill of burials, the other is the copy of that record into the main burial register. The final record of Edmund is in the 1607 Token Book of St Saviour’s, from the Liberty of Bankside, that record of a purchase of communion tokens, and shows that at sometime that year Edmund Shakespeare was living at a tavern-tenement complex, with a garden, called The Vine. It is very likely that he died there too, since he was buried just six minutes walk away in the big church, where many players and dramatists are buried. 6) The major work on Southwark began to unfold after David discovered the name of The Vine from a lecture given by Professor Alan Nelson of Berkeley university on the Token Books, although it was known previously and published. It involved looking at leases both in the Metropolitan and National archives and the tiny records in the boxes related to St Saviour’s. It coalesced both around the discovery of the will of one Edward Hunt Esquire in 1588, the year of the Armada, bequeathing the Vine tavern to his pregnant wife Mary and her brother John White and scraps of ‘leases’, really tiny bits of hand written paper from the 15th Century, relating to a Fraternity at the Church of St Margaret’s. St Margaret’s once stood right by The Tabard Inn and up the road from The White Hart, in the middle of Long Southwarke, the road that ran straight over old London Bridge. Today it is the sight of a Slug and Lettuce bar but it was also the site of St Margaret’s Cross and the original starting point of Southwark Fair. In Hogarth’s painting of Southwark Fair the old Norman church is still in evidence, though it had become a prison, a courthouse and a tavern called The King’s Head. A very Catholic church, as reflected by the Brotherhood and in an area that was of course also Chaucer’s Canterbury Road, it was suppressed in 1534, its parishioners subsumed into now renamed St Saviour’s, three minutes walk away. It’s prominence was also because it stood right in the middle of the King’s Highway, just before you reached the gate to London Bridge, which is probably why it was also used afterwards as a local Compter, or Court lock up. The Commissioners who fined St Francis Langely, who built The Swan Theatre, for not keeping up the Manor of Paris Gardens probably met there. The records suddenly stop then at The Reformation, with scrawled, handwritten documents entitle Testi 1-V, which are the as yet untranslated Latin interrogations by the King’s commissioners of the wardens. The reformation ax had fallen on the history of the little church. In 1460 though Livery and Land Rights had been granted to the wardens of St Margaret’s Church for their brotherhood, and in fact sisterhood too, of ‘Our Lady Of Assumption’, by Henry VI himself at Westminster. Being less than 8 miles from Westminster Southwark fell withing ‘The Verge’, the moveable area of authority that operated around the King’s person, but Henry granted the local wardens not only a livery but the right to buy land worth up to Sixty Marks. They started investing in two local taverns, The Vyne and what appears on the computer records of The Metropolitan Archive to be The Har- although the tiny piece of paper is torn. David now believes from other records that The Har was in fact The Haxe, or The Axe. The Vine stood on the long earthen track that became a kind of Broadway of its day called Maid Lane. Maid Lane has been cut to pieces by time, bridge building and concrete, but on it, and flanked by marshland first the Rose, then the Globe and then The Hope came to stand. As Ben Jonson records in his Execration Against Vulcan The Globe was ‘forced out of a marish’ or a marsh in 1599, when the players carried the wood from the old The Theatre in Shoreditch across the river, as the lease on Giles Allen’s land ran out. By Edmund’s day The Vine was a tavern-tenement complex, with gardens, stables and waterways, according to the standard lease, in a grouping also called Hunt’s Rents, as there were so many named ‘rents’ in London. It is hard to pinpoint it exactly or how large it was, but it may well have given its name to the modern Vinopolis and been hard by The Globe. But on the Grant of The Brotherhood of Our Lady of Assumption the two most prominent wardens named were local knights, Peter Averne and John Le Hunt. There can be no doubt that John Le Hunte is the direct ancestor of Edward Hunt Esquire who died in 1588 and was also buried in St Saviour’s. As the church was suppressed its property and profits passed back into secular hands and there is no evidence the Brotherhood of Our Lady of Assumption survived The Reformation or went underground. 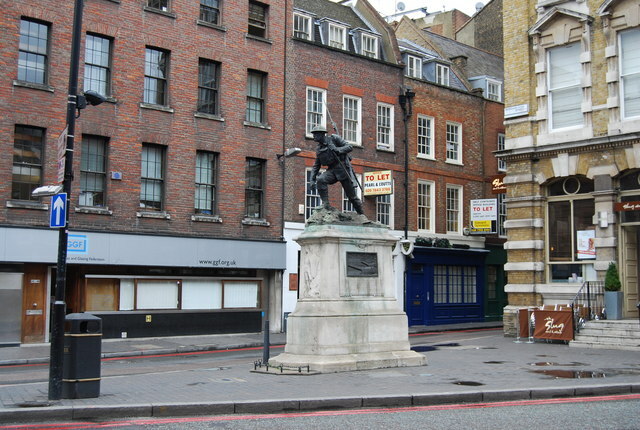 John Le Hunte would have been a boy in Southwark when Henry V stopped just down the road in front of St George’s Church, to be welcomed by Alder or older men and city minstrels singing him a plaint to his victory at Agincourt in 1415. 7) The history of St Margaret’s church though is a fascinating window into Southwark itself and the inter-relationship of churchmen and locals, taverns, theatres and brothels. The whole area of course fell under the aegis of the Bishops of Winchester, with Winchester Palace or House right by St Saviour’s, on Clink Street facing the river. Much has been made both of the licencing and profiting of brothels in the area by the church and Winchester, a sea second in importance only to Canterbury, and it did become an area of vice and crime, especially lurid in the Puritan imagination, and a key to Civil War Propaganda. One pre Civil War pamphlet shows a soldier aiming his canon at the legendary Hollands Leaguer, a moated brothel popular with courtiers that was probably in the Manor House of Parish Gardens, once owned briefly by the Cloth Algener, or tester, and impressario Francis Langley. It is certainly true that the Bishops of York made much profit from the cheap tenements that flourished in Southwark, and with the independent nature of the Liberties of London, later spawned the murderous slums of the Rookeries. The Tabard was owned by the Bishop of Hyde. Also such a tough area because of the presence of five prisons in Southwark, including the famous Mashalsea, that also stood on Long Southwarke. The records certainly prove that in running the Vine and The Axe the wardens of St Margaret’s and the Brotherhood of Our Lady of Assumption were paying ‘purse money’, ie cash, straight up to the Bishop of Winchester. They also show payments for the lighting of the lamps along the river, the improvement of the ways and evidence of an argument with a Flemish woman at the Axe. Whether or not she was some proto Mistress Quickley, it also testifies to the influx of foreigners along the river, especially Dutch and Flemish immigrants, but if in the mind of someone like Sir Walter Raleigh the association with prostitution was with foreigners, and not our lovely English girls, in fact brothels had been licensed there since the 12th Century. As well as securing prices paid by ‘incontinent men’, it ensured girls might spend an entire night with clients, regulated food and drink, but also tried to ensure the liberty of the girls and the fact that they could not be held against their will by ‘the stewe holder’. The name ‘the Stewes’ for Southwark Brothels, especially housing the famous Winchelsea Geese, is probably a conflagration of the Scandinavian word for a stove but also the name for the Royal Carp ponds in Southwark. The fishy connotations are quite obvious, not least in Hamlet’s discussion with Polonius of the honest trade of Fishmongers, but also John Donne’s poem The Bait, when he talks of swimming in ‘that live bath’. Fishmongers Hall was of course the most prominent Guild House, right opposite St Saviour’s on the north shore and west of Billingsgate fish market that served London. 8) St Margaret’s church records, like so many in a time of proto records, and when the register of christenings, weddings and funerals also began at The Reformation, are not only the real beginning of urban and administrative history in London but accounts – how much things cost. They give their own astonishing insights, an echo of living history. But they are especially fascinating in trying to relate Shakespeare’s histories to real local history on the ground, since they span the reigns of Harry V, Henry VI, Edward IV, Richard III and the King Shakespeare never wrote about, Henry VII. The way some are headed ‘Harry V’ for instance also capture so much of the intimacy in referring to the Crown that is such a part of Shakespeare’s own language. But one of the most fascinating aspects is the uncovering of the role of little St Margaret’s, the Bishop of Winchester William Waynflete and the story of the rebel Jack Cade, all so prominent a part of Shakespeare’s Henry VI, part II. Not nearly enough work has been done of the three parts of Henry VI, not least because they represent Shakespeare’s first real appearance on the London theatre scene and his recognition among other writers. 9) The attempt to uncover more about Edmund Shakespeare’s own life and death has largely foundered on the lack of evidence and records. It is fairly surprising there is no record of a player brother in the First Folio, among that close knit group of actors who worked together for 25 years in Shakespeare’s Company. The relationship between Shakespeare’s works, Edmund and brothers in general is an ever tantalizing one, that must again be considered speculation. It is also true that families and especially brothers play a dominating role in Shakespeare’s utterly human dramas but ones that are so concerned with internal imagination, and psychic wholeness, in a language of family that was also related both to the idea of the Commonweal and to those fathers, brothers and sisters of the Church. In terms of a younger brother not least in As You Like It, where Orlando is made the hero against the corruption of older brothers, politics and the court. Is that Shakespeare’s consummate awareness but also guilt at work, and perhaps a kind of warning to a younger brother arriving or struggling in the City as a player, who was 19 in 1599? Is it somehow telling that the only fictional Edmund in Shakespeare, not counting the historical Edmund Mortimer, is Edmund in King Lear, one of the most vicious, yet intelligent of them all? Perhaps it reflects nothing at all about a real younger brother, whose name ironically means ‘wealth bringer’, but it throws some light on Shakespeare’s own experience, especially in that traumatic year of 1607. Shakespeare had already written his greatest tragedies, his themes growing darker and darker in the last years of Elizabeth’s reign and into the reign of James I, but Lear was certainly written by 1606, and performed for James I at Whitehall at Christmas. Did that presentation of an Edmund on stage, for a player brother struggling on the social margins and watching it, have any effect on the real Edmund or produce any sense of guilt for his eldest brother, when he died so young, just a year later? The most interesting clues though come in a sea change in Shakespeare’s work, with Pericles, probably written with the tavern-brothel keeper and general thug George Wilkins, the argument about the social status of players that had developed in 1603 at the College of Heralds, now Shakespeare was a Gentleman, and the marking down in the church records of Edmund’s son as ‘baseborn’. Was Edmund Shakespeare at odds with Shakespeare the Gentleman and did a greater tragedy ensue we are as yet unaware of? The very prominent presence of Heraldry in Pericles, and Pericles’ crest represented by a withered branch only flowering at the top, can hardly be ignored. But there are other references in Pericles, particularly to the poet John Gower, who is also buried in Southwark Cathedral, that give it a significance that is yet to be fully explored. 10) Edmund Shakespeare’s life is of course important in terms of the evidence, or lack of it, about Shakespeare himself. Many controversies remain, perhaps quite wrongly, about who Shakespeare was. The fact that there was a Stratford Edmund Shakespeare who was also a player only adds to the evidence about Shakespeare and his whole and much neglected family. Some have argued that the Stratford Shakespeare cannot have been the London Shakespeare, not least because Shakespeare does not refer to himself as a player or writer in his Stratford will. That is just rather silly, because he also leaves mourning rings to his first actor and King’s Man, Richard Burbage, and to those gatherers of the First Folio, Henry Cundell and John Hemming. Perhaps though Edmund’s presence at the Vine too will give the final link in the chain to confound the doubters and especially the Earl of Oxford theorists (who was dead by 1604) in its ownership by Edward Hunt, esquire. That is if any link can be made between a book owned by the Warwickshire cleric Richard Hunt and the London Hunts, that bears an inscription describing Shakespeare as the ‘Roscius’ of his day, a term from the celebrated Roman actor applied to the like of Edward Alleyn. Of course Edmund’s life, both as a Shakespeare and a player, is valuable in itself and in all it has helped uncover about the period. Of which there is more to come. 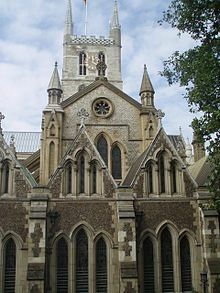 The first Wikepedia image shows the South end of St Saviours, Southwark Cathedral, restored in the 19th Century. It state was very different in Shakespeare’s day. The second picture shows the War Memorial, that was once St Margaret’s Cross and the start of Southwark Fair, and Slug and Lettuce bar that was once St Margaret’s Church, where John Le Hunte and the Brotherhood of Our Lady of Assumption were granted livery and land rights of up to 60 Marks by Henry VI in 1460. Jack Cade met the Bishop of Winchester here, after the Battle of London Bridge, staying over the way in The White Hart Inn. DRAGON IN THE POST HITS THE BBC AND THE KATIE MARTIN SHOW, IT MAKES ABSOLUTELY NO DIFFERENCE, SO DCD CHEERS UP AND GETS BACK ON THE SOUTH DOWNS! 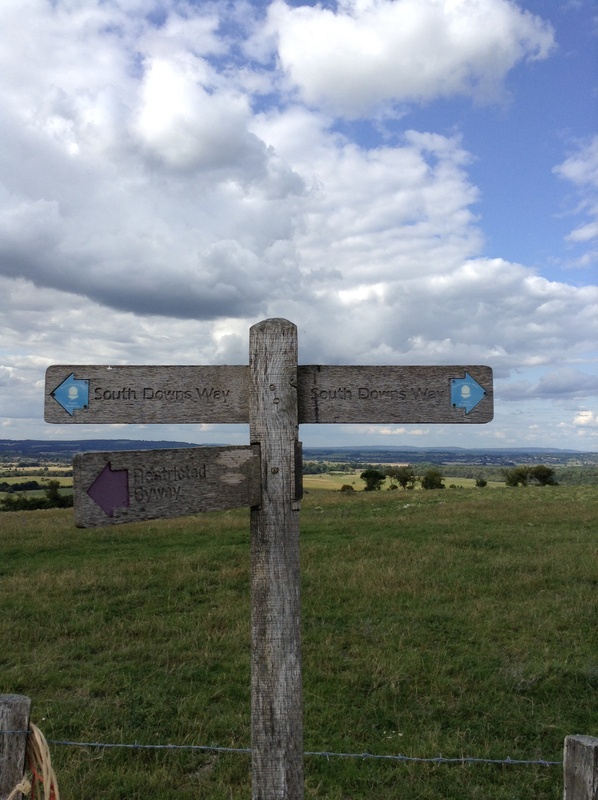 Which is partly why it was so great to walk it all off again and rejoin the South Downs Way, at the Chanctonbury Ring beyond little Washington. I’m afraid I owe the way a few miles. If you can find some dragon of storytelling here though it’s at these strange, rare ring mounds, and the track that winds up through knotted, tangled and ancient forest, back to the escarpment and the effort to rise above it all. They are either barrows, hill forts or just strange eruptions that curl up the land itself and in them you can see all the power of ancient myths and storytelling, like Mary Stewart’s dragon in The Crystal Cave. But after scrubby Southampton it was a joy to get back up there, under sun and cloud and set off again. Only a two hour straight walk, with no breaks, but always more surprises. So now you realise you’re getting closer and closer to the sea, after that clear, straight chalk path, with such beauty around, and quite a shock then to come over the brow and look down all the way to Brighton. Like the huge scar of a chalk quarry, that looks like a vast, white and unattended bowling alley, Brighton from the hills is frankly a blot on the landscape. Just because it’s man made and the memorial up here to someone’s “beloved South Downs” is so true, all about a love affair with the Downs growing in me too. Oh why, oh why though, did the song just before my little spot have to be Hewey Lewis and the bloody News, with The Power of Love – “makes one man cry and another sing.” If only they knew! That’s it though, it don’t take money, it don’t take fame…what will this take? It was the stiff sea breezes gusting over the tops, in a glowing early evening, that made me feel I was already on a beach, or the downy, blowsy gentleness of it all, touched of course by the threat of power plants and Brighton Pleasure Pavillions that made everything seem at sea. But then, when the light moves and the clouds are high, when beetling track suddenly tumbles into mown pastures, these Downs not only become beloved, and feminine, and gentle, but you see entirely why England was always a part of the sea beyond and all is one. To get more real, I thought of Orwell and Animal Farm, as I came through a piglet farm, with sweet new snorters nudging the mud, then huge sows squealing in the wind, as crows lined the fencing and got a bit depressed again. So to another tip into a river valley, as the river Arun follows the Downs to the East, the strangely unnerving sight of a sign saying Eastbourne only 40 miles. I was making for The House of The Rising Sun! So here I sit, amazed by the beauty of the hills and light above the wimpy homes, across the car park in Upper Beeding, at The Rising Sun pub, bemused that Miss Martin’s show hasn’t made the breakthrough either, pleased by the warmth of my hosts Sue and Barry, who are preparing for their three day beer festival, in the most popular of the three pubs here, because it’s all about people, and wondering why a posh bloke like me is chatting to a geezer about selling kitchen units, next to saucy postcard wallpaper, courtesy of a certain Dupenny down in blousy Brighton. Still, with all I know since coming to the country about real pub life, I must just have more fun. They’re a nice lot here, salt of the beeding earth, tattooed and all, and I am turning to comedy, as I chat to a guy with a cocktail business in Brighton called Mixology and try to mix it up. I have mucked up the route tomorrow, having travelled further than I thought, so will keep you posted. Sue does a cracking walker’s breakfast and the son of the house, going on about writers, how he isn’t educated or a reader, but loved The Shadow of The Wind, thanks to his ex girlfriend, may have saved my life in reminding me what it’s really about – writing and weaving inspiring stories. A girl at the bar who had gown home for a bit to watch a Bake Off moved me too in talking about Children’s Books and how people just don’t read any more. You can crowd fund Dragon In The Post, right now, pronto, by going to Indiegogo.com and looking it up! THE SOUTH DOWNS WAY CHARITY WALK GOES INTO THE HAMPSHIRE DAILY ECHO TOO! To hear the audio just click the arrow below. To hear the first reading too just CLICK HERE Thank you. 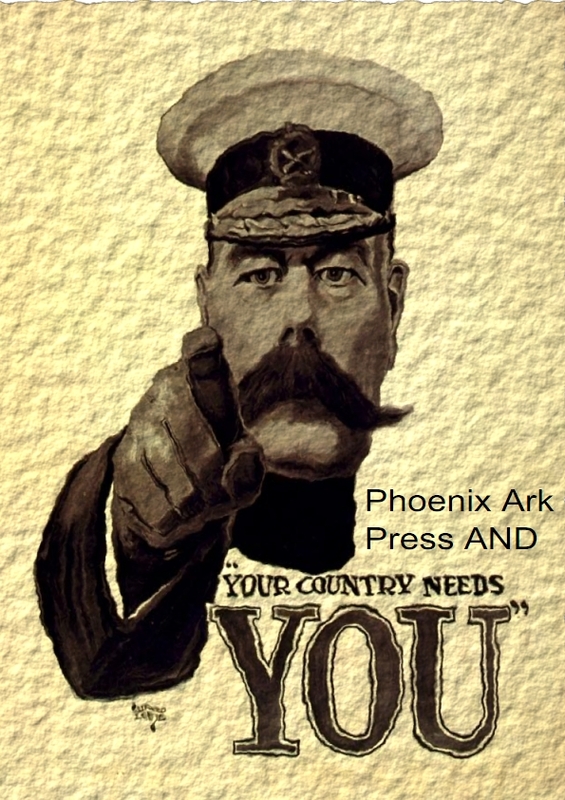 THE DRAGON FLIES AT 30% AND RIGHT NOW THE PHOENIX NEEDS YOU! Hooray, we’re at 30% already on Dragon In The Post and with far fewer backers, which is exactly why I am going to mention names like Barb, Trais, Melody, Sharon, Cath and all Phoenix Ark Press readers and those inspired by the Fellowship of The White bear too. Contributions are wonderful, but with a lower target this time this is so not just about money but a constituency, a readership, a shared publishing endeavour and making it happen for a Dragon story and much more. Come home then and help us soar! 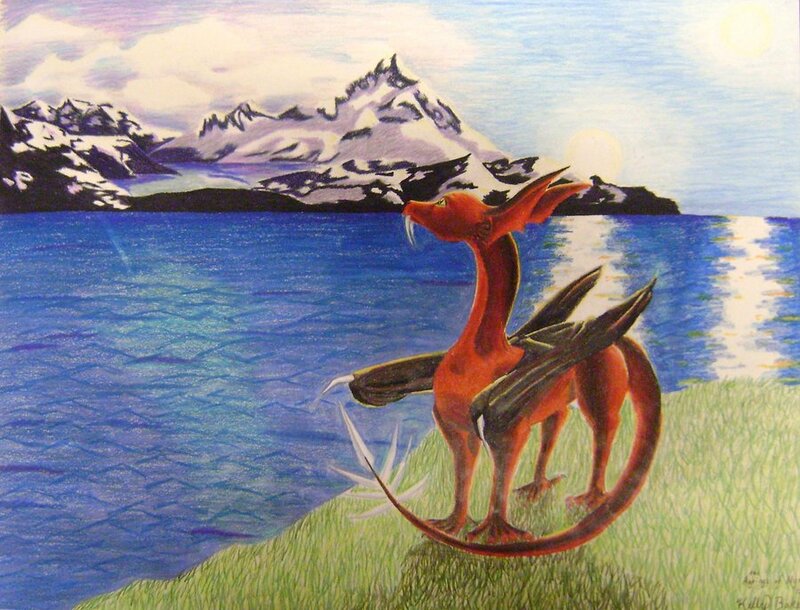 People are sharing wonderful art of the Facebook page “Stories In the Post” and in the Phoenix Ark group, while the Dragon is up on Wattpad and more to come later. It would be lovely if you’d become part of the adventure today by going to Indiegogo to contribute by BACKING THE DRAGON but also spreading the word to break through again for DCD and real books, in the post. LOOK, TWO SLICES OF CENSORED CHEESE AND THE SHOW MUST GO ON! So to the opening night and the song of the excited actors – “waiting in the wings”. But the harm of censorship too, just like the need for Royal approval, with the intervention of the head of the King’s secret police, Monsieur Malleece, and the closure of the old Paris theatre! Eeeeek. But never fear, Bobolan is here, for his very first meeting with Jean Baptiste Moliere, where he finds his courage and persuades him to visit the King of France himself, Louis XIV. Who, as it happens, has a secret taste for musical theatre himself and sings “DOING THE REGAL RAG”. Before a mouse in Moliere’s pocket, who the King can’t hear, leads to a sudden turn around of fortunes…Hooray! When you’re at a show! Or will you fate us? Tell us where to shove it? Will he have to trash it? And they very rarely let you dance! Even as bright as the sun! And never let you have much fun. But they always wake you up on time! Isn’t the prospect so neat? A bishop, villain, slave or cheat! And keep my promise not to drag! And hike your bloomin’ tax to start! Mr Moliere’s Mouse (aka CHEESE), Royal Academy of Music workshop. Story, book and lyrics by David Clement-Davies, music by Michael Jeffrey. All rights reserved Phoenix Ark Press 2014. Mr Moliere’s Mouse, aka CHEESE, from The Royal Academy of Music workshop. Story, book and lyrics by David Clement-Davies, music by Michael Jeffrey. Phoenix Ark Press All Rights Reserved.